Lawmakers and presidential candidates got a glimpse on Thursday of what California voters feel about the death penalty, the governor, horse racing, sanctuary cities and other hot topics. Pete Suratos reports. California voters are also split when it comes to Gov. Gavin Newsom's moratorium on executing any of the 737 inmates on death row. Based on poll results, 44% side with Newsom's move while 46% disapprove of it. "The governor has spoken, but California voters are closely divided on whether to put the lights back on in San Quentin’s death chamber, 13 years after the last execution," Tim Malloy, assistant director of the Quinnipiac University Poll, said in a statement. "They also are divided on the question of execution vs. life without parole." California Gov. 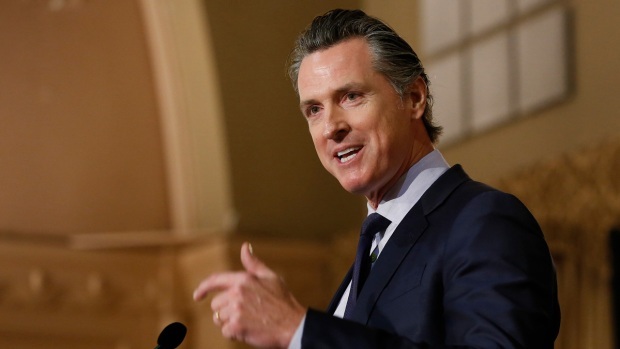 Gavin Newsom announced Wednesday that he is taking executive action to halt the use of the death penalty in California. Jodi Hernandez reports. The hotly contested issue of sanctuary cities also divides California voters, with 46% reporting that sanctuary cities should be able to handle immigrants "as they see fit" and 47% saying that sanctuary cities should be forced to adhere to federal immigration standards, according to the poll. "After the deaths of 23 race horses at California’s most storied race track, the governor wants answers and so do voters," Malloy said in a statement.